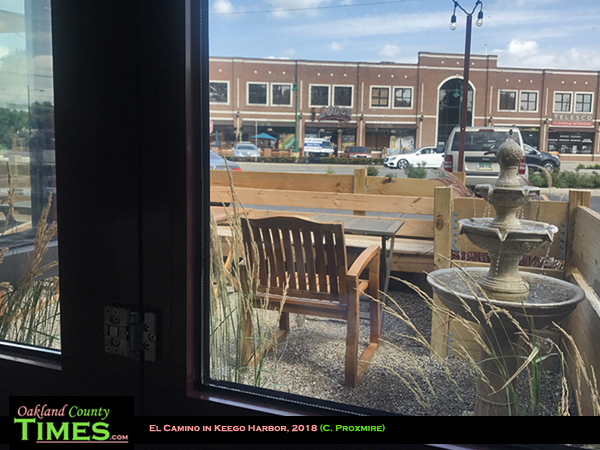 Keego Harbor, MI- Based on a reader recommendation I headed to El Camino Taco in Keego Harbor. 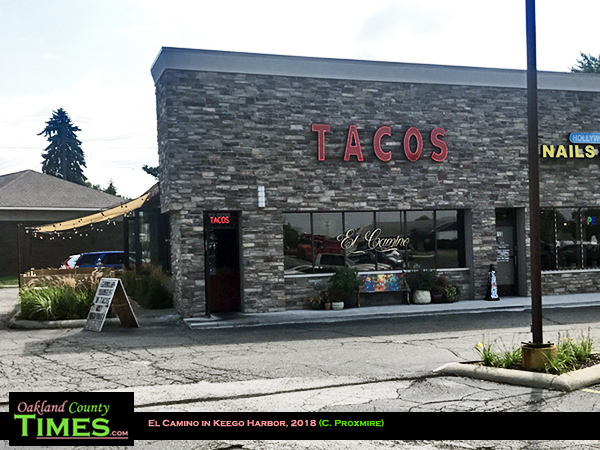 It was easy to find with the giant neon word “Tacos” on the side of the building, which is at 2807 Orchard Lake Rd. This is a great little spot with a lot of personality. 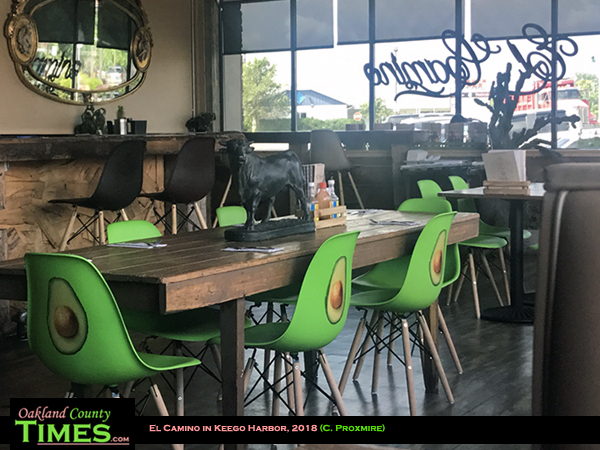 I particularly liked the lime green chairs with avocados on the backs, and the centerpiece of a bull at one of the larger tables. I enjoyed my spot in the corner booth, next to bright windows and a small peaceful fountain outside. 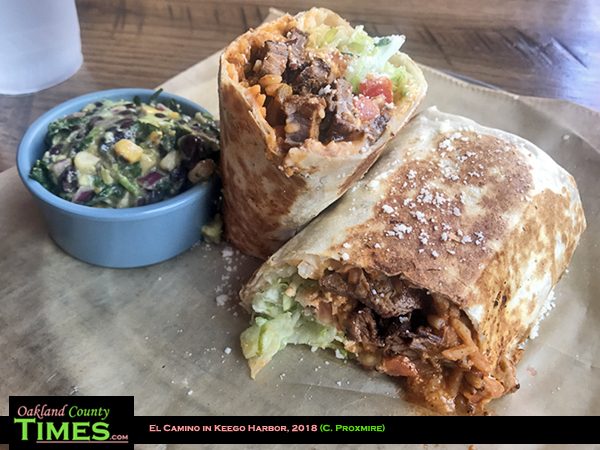 The website describes El Camino as “locally sourced Mexican street food with positive vibes,” and indeed that’s what they were serving up this weekend when I went. 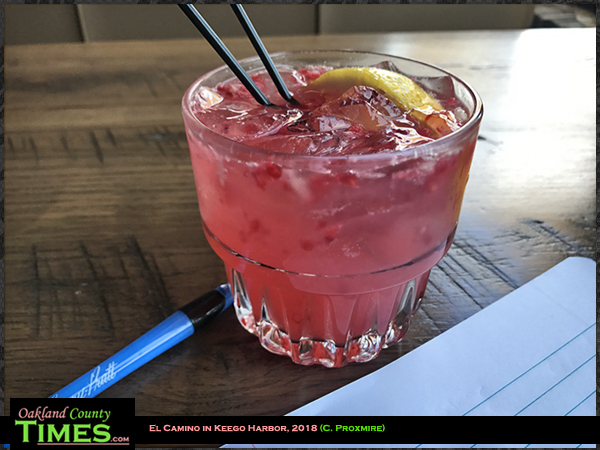 I started off with a Raspberry Margarita, made with tequila, fresh muddled raspberries and jalapenos, lemon, lime, orange, and Cointreau shaken with soda water. It was lovely, with a kick to it. Balancing that out I had a steak burrito that came stuffed with all the fixings – beans, lettuce, cheese, tomatoes. It came with a side of avocado, black bean and roasted corn relish. Both of which were fantastic and I had enough to take home half the burrito and some salsa for dinner later. 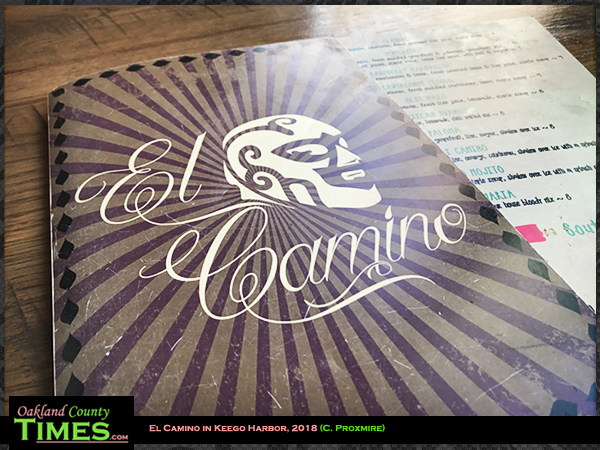 See what else El Camino has cookin’ at https://www.elcamino.cool/ .